There is hardly anyone among us who doesn’t know what garlic is. No food is completed without the taste of the garlic. From continental to oriental dishes, there is no cuisine which doesn’t incorporate garlic in it. There can be times when you really ask a question to yourself like is garlic a vegetable or an herb? Look no further because you are going to find your answer right in here. So, keep on reading and know what you don’t. Vegetable is any part of plant which humans consume or incorporate in their diet, well you know vegetarians don’t you? Now this term is arbitrary and this single term is used for so many parts of plants which are consumed by people. This term however exclude some parts of plants like seeds, nuts or fruits etc. this is very important to know what exactly vegetable means before digging deep about the garlic. Fruits are sweet flesh part of plant which is eaten and loved by vast population of humans. It is made out of reproductive body of the plants or bush. It is usually an over ripened ovary which have either seed or seeds inside. Mostly the fruits are developed from the flowers of the plant, when the ovary is fertilized by spores in a flower this is when a fruit starts to form. A fruit has potential to turn into a whole new plant. Herb is any seed, plant, flower, leaves or even fruit which is used to enhance the flavoring of the meals as they possess aromatic and savoring properties. Besides from food herbs are also used in medicines and fragrances. Herbs can be used in both dried and fresh form. In short terms they are also known as flavor and aroma enhancers. Spice is basically a pungent yet aromatic substance that is derived from plants and is used as flavorings in different dishes. Spices can be made from the roots, bark, fruit or root of the tree or plant. Besides flavorings sometime the spices are also used to give color to our dish. Where does garlic come from? Before unraveling the actual truth behind the garlic conspiracy, you definitely should know where does garlic comes from. Let me tell you a little history of garlic. Garlic has been incorporated and used in food even before 3000 B.C which has officially made this pungent flavored herb the oldest food. The journey of Mr. Garlic started in Asia where it was domesticated in Neolithic times. Gradually garlic started to spread in Middle East and then to Africa and Europe. Apart from the usage in food, garlic was also used for other stuff like magic potions, medicines, aphrodisiac and even for the money. Back in the era of Greeks, the people also used garlic as the component which prevent evil eye to take place in the house. The wild form of this plant was harvested in Central and West Asia and there is no civilization which hadn’t been touched by garlic. The wild plant of the garlic was known as Allium longicuspis which evolved for over millennia and then it got shaped into modern day garlic. So what is in garlic that makes it so fiery? When a person eats raw garlic, the taste buds in their mouth gets all fired up causing the mouth burning sensation which is similar to the chili. 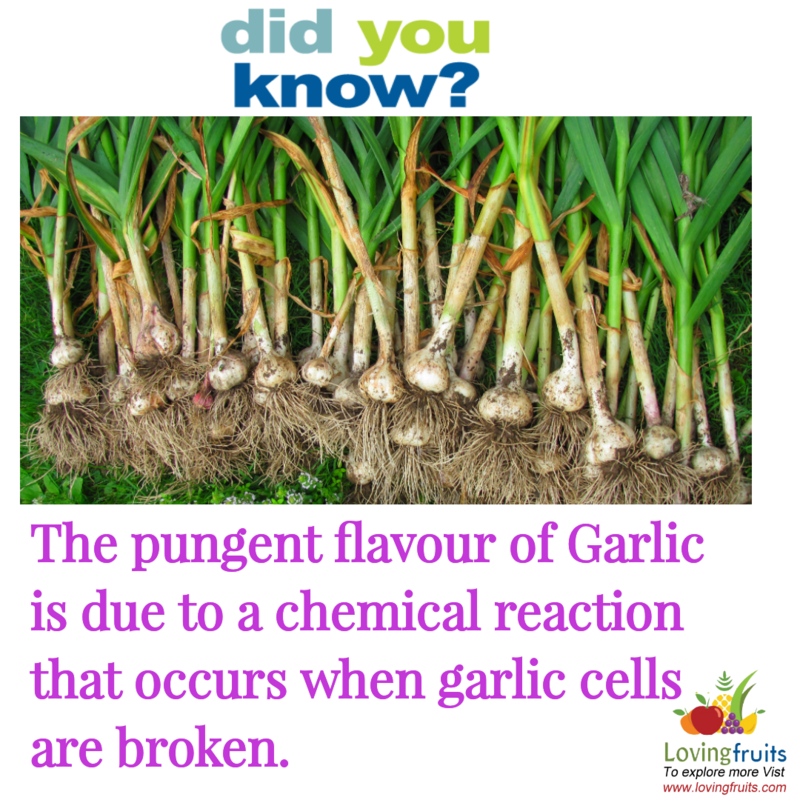 When garlic is being crushed into the mouth by the teeth, a chemical reaction takes place whose by-product is a pungent and sulphur containing molecule known as allicin. This molecule is locked into the nerve channels of the tongue causing it to send firing up signal to spinal cord and brain respectively ultimately causing swelling, burning, stinging and redness of the face. But keep in mind that the raw garlic is very pungent and spicy but once you cook it through the spicy taste neutralizes away. In order to define garlic clove, one must know that each wedge shaped component of a garlic bulb is known as clove. In a single head of the garlic, there are multiple numbers of the cloves. The size and thickness of the garlic clove varies as some are fatter and some are thin. The cloves are covered with very thin and narrow skin which looks exactly like paper. This paper like skin has to be removed first. 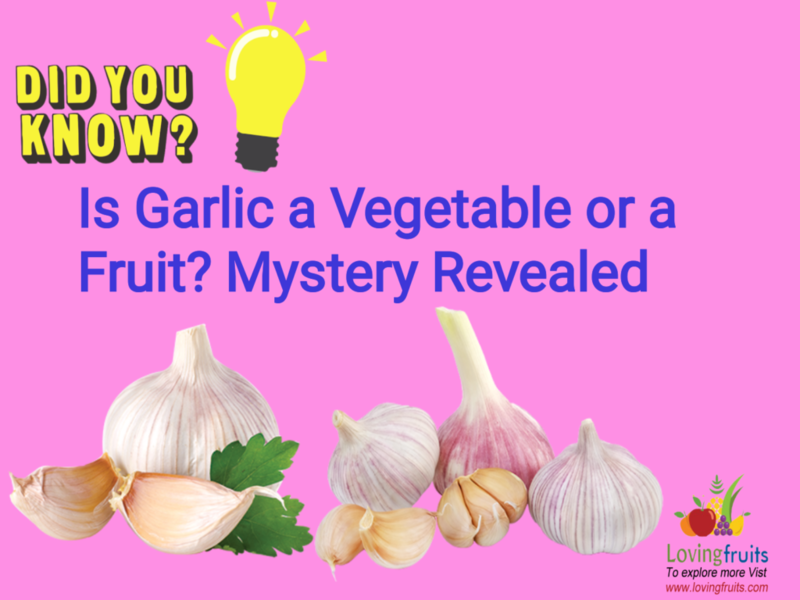 Is garlic a fruit or vegetable? So it is the time when I just unwind the mystery. Garlic is by all means and very much a vegetable and not fruit. Surprisingly garlic belong to the family of lily and it is by all fact a very close relative of the leeks, onions and chives in vegetables. As described earlier, the bulb consists of cloves which are then wrapped in a membrane similar to paper by Mother Nature. Though the usage of garlic is not direct mostly but in different forms and the good thing is each form of garlic gives a different form of taste which is Amazing. What are other lily family vegetables? Can garlic be used as a spice? Many of you have seen garlic spices in your nearby stores but is it really a spice? Well originally garlic a vegetable but it can be transformed into different condiments like spices even in herbal forms too this is because all components of the garlic like bulbs and cloves have herbal properties and so it can be used like one. Is garlic a vegetable? This is probably a question bothering so many people. Some even confuses it with fruits, seeds and even with tuber. Garlic is a vegetable which belongs to the lily family. Garlic is famous for its pungent smell and fiery taste and is used in pretty much every food as a flavor enhancer. 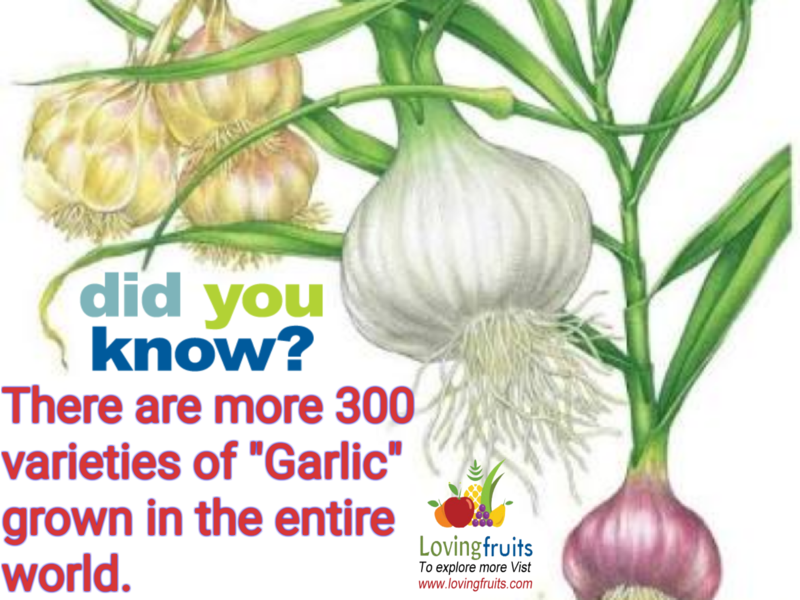 Besides the flavoring property garlic has tons of medicinal and herbal uses and it had been around us even before 3000 BC.